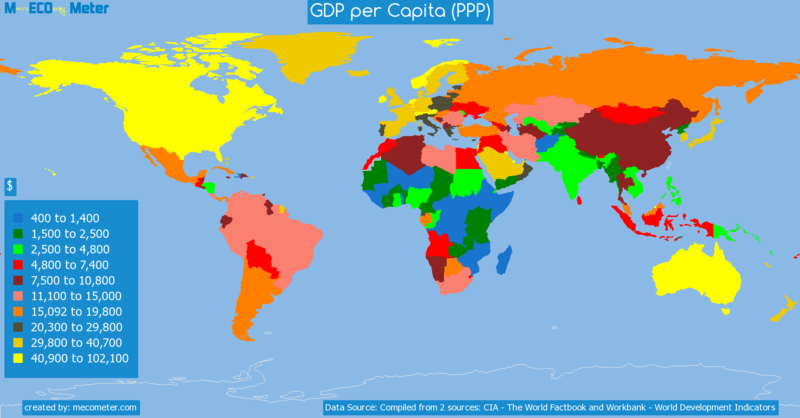 Value & RankThe GDP per Capita (PPP) of Hong Kong SAR, China is 52,700 ($) with a global rank of 14. 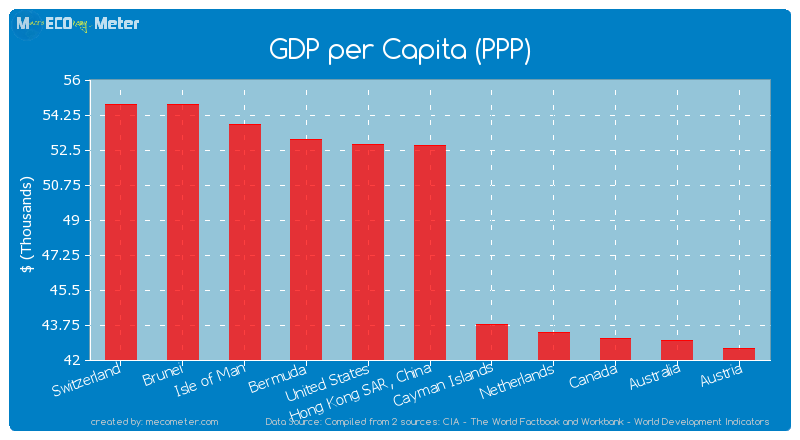 Hong Kong SAR, China compared to other CountriesThe GDP per Capita (PPP) of Hong Kong SAR, China is similar to that of Switzerland, Brunei, Isle of Man, Bermuda, United States, Cayman Islands, Netherlands, Canada, Australia, Austria with a respective GDP per Capita (PPP) of 54,800, 54,800, 53,800, 53,030, 52,800, 43,800, 43,404, 43,100, 43,000, 42,600 ($) and a global rank of 9, 10, 11, 12, 13, 15, 16, 17, 18, 19.10 years growthHong Kong SAR, China's GDP per Capita (PPP) had a positive growth of 76.6 (%) in the last 10 years from (2003 to 2013). 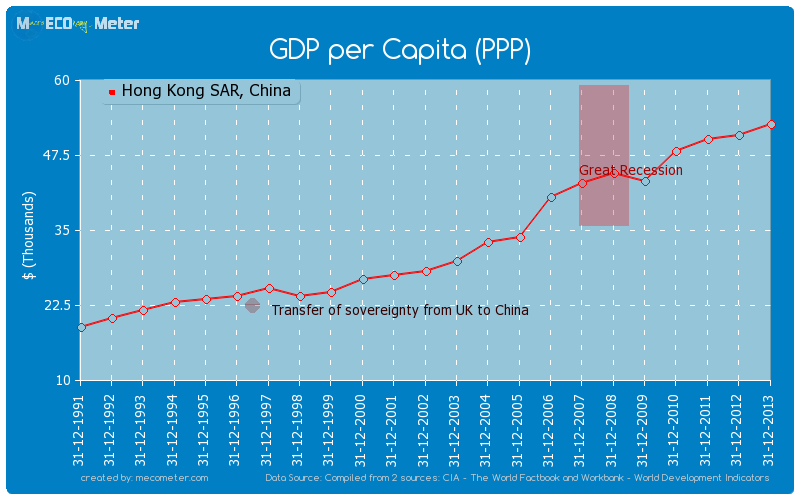 Last 10 years averageHong Kong SAR, China had an average GDP per Capita (PPP) of 42,755 ($) in the last 10 years from (2003 to 2013).